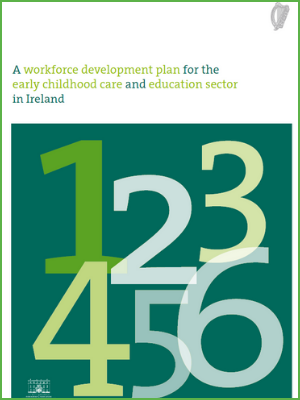 A workforce development plan for the early childhood care and education sector in Ireland is the culmination of a significant process of research and consultation across the diverse range of stakeholders in the sector. The result is the identification of a number of agreed perspectives on the type of workforce needed to support the development of high quality Early Childhood Education and Care services in Ireland, as well as the main challenges associated with achieving these goals. This plan sets out the scope and vision for workforce development in Ireland, presents the main challenges and opportunities, and reveals the implementation strategy.